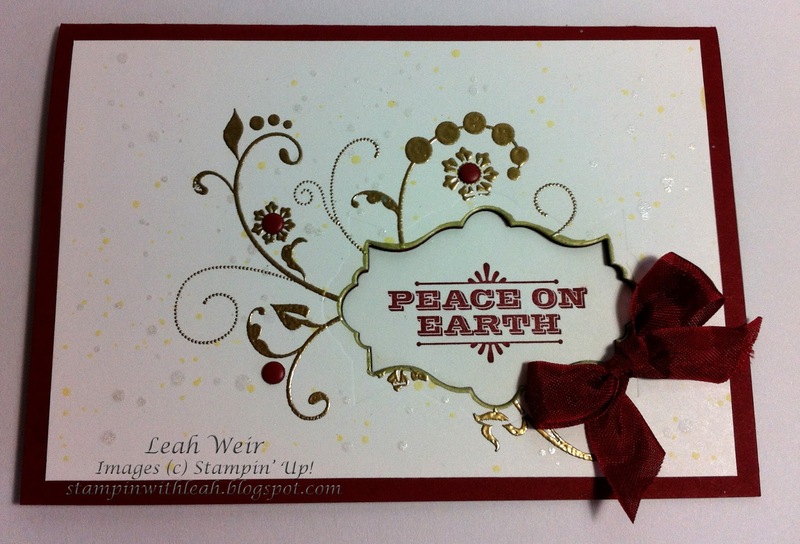 Stampin' With Leah : Fab Friday 25. 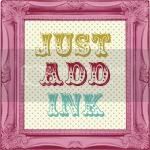 I have discovered a new challenge blog (new to me) called Fab Friday. 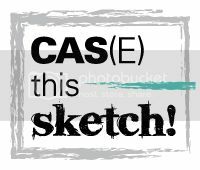 Every Friday there is a new challenge either a sketch challenge or a colour challenge. This week the Fab Friday 25 challenge is a sketch. Using the Flowering Flourishes stamp set and the Merry & Type set. 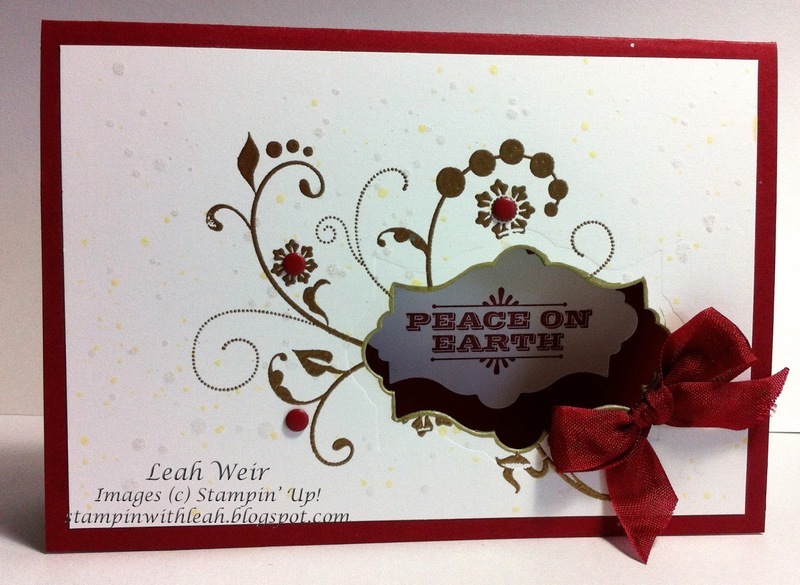 I heat embossed the flourish with Gold embossing powder, added a few Candy Dots and a bit of spritzing. I've used one of the shapes of the Apothecary Accents Framelits dies to cut out a window, placing the greeting on the inside of the card. To finish off the card I drew around the window with a gold pen and added Seam Binding Ribbon. To check out the Design Teams beautiful cards or to enter the challenge click here. What a beautiful card! I love the window with the sentiment on the inside! Thank you for joining us at Fab Friday! Very pretty card!! Love the window for the sentiment!! That bow is gorgeous!! Thank you for joining us at Fab Friday!! Very pretty! The flourish is just perfect here! THanks for joining us at Fab Friday!